Family Day 2019 is Monday, February 18th and it’s right around the corner. If you live in Northumberland County, you may be looking for activities to keep your children occupied during the holiday. Both the municipalities of Cobourg and Port Hope have organized a few great (and some free) options to keep your family busy this year. 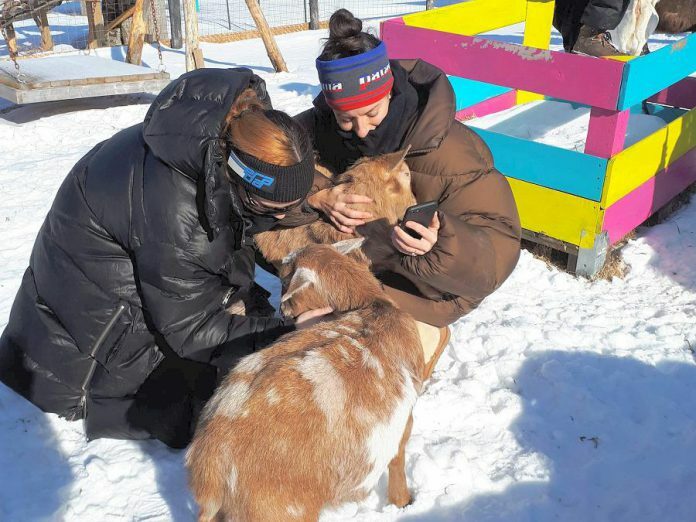 There are also other special events taking place on or around Family Day, including a nature hike in Ganaraska Forest, a chance to cuddle the goats at Haute Goat Farm, and the first-ever Northumberland Fire & Frost Festival. Cobourg has a fun-filled list of Family Day activities planned. 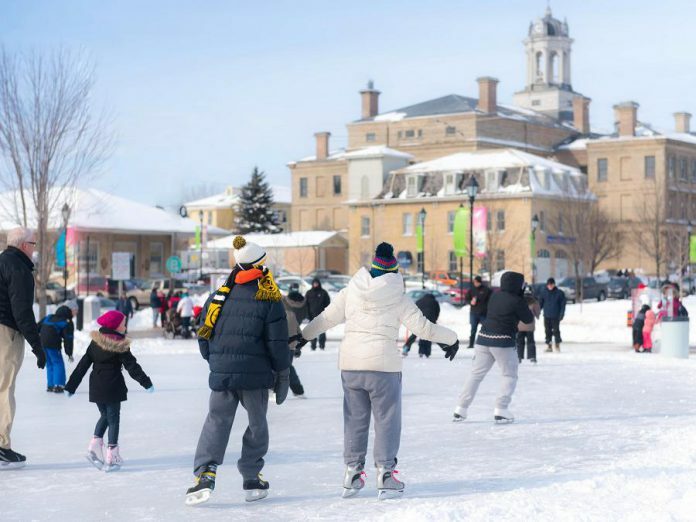 From an indoor family movie screening to an outdoor skating party with a DJ on site, your Family Day won’t be boring if you partake in the day’s festivities. The Town of Cobourg is sponsoring a free family movie on Family Day at Rainbow Cinemas in Northumberland Mall (1111 Elgin St. W., Cobourg). The free movie (Hotel Transylvania 3) will begin at 10 a.m. and admission is “first come, first served” so get there early. From 11 a.m. to 3 p.m., a live DJ will entertain ice skaters at the Rotary Harbourfront Outdoor Skating Rink. Other outdoor activities include kids painting on the snow, a scavenger hunt, and a Frosty Zumba session. Free hot chocolate will be served and Smokes Poutinerie will be setting up a food truck on site. 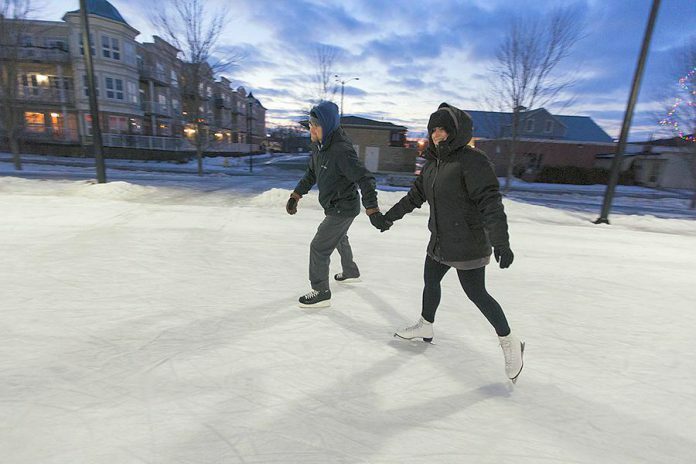 You can find the rink and other activities located at 35 Albert Street in Cobourg. 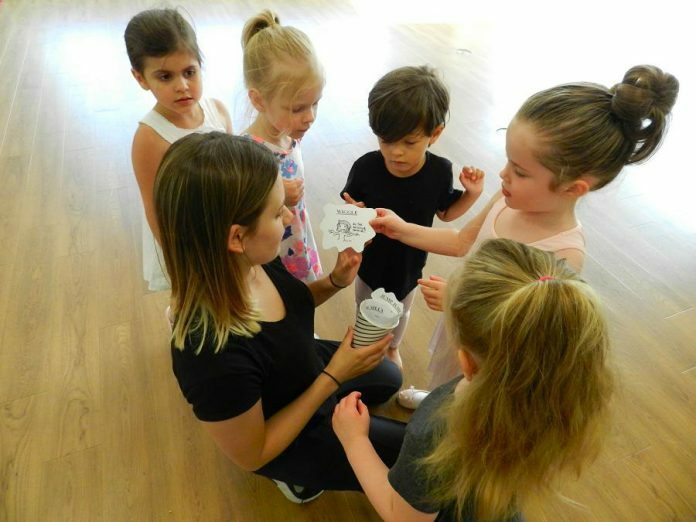 If you’d rather be active indoors, the YMCA Northumberland (339 Elgin St. W., Cobourg) will be offering free use of the gym, swimming pool, and playground on Family Day, and the Art Gallery of Northumberland (Victoria Hall, 55 King St. W., Cobourg) will be hosting a pop-up workshop from 1 to 3 p.m.
Later in the evening at 7 p.m., you can cheer on the Cobourg Cougars as they face off against the Kingston Voyageurs at Cobourg Community Centre (750 D’Arcy St., Cobourg). The Family Day game is also the annual ‘Pink in the Rink’ game and a jersey raffle will be held. A special “Family Day Family Pack” is available for $25 (two adults and two children from 6 to 12 years of age). The town has something in store for every member of the family and to appeal to all ages. 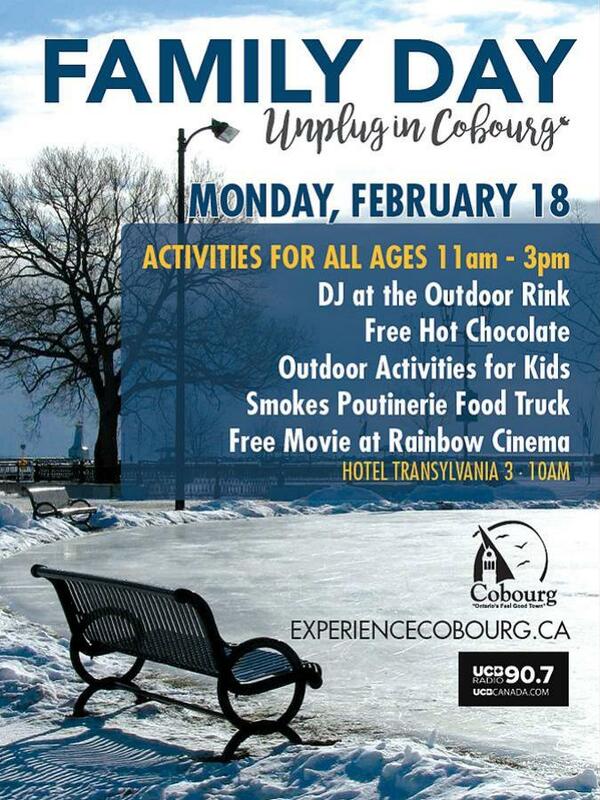 So get out and enjoy winter in Cobourg together. Port Hope is also promoting family-friendly activities for Northumberland residents on Family Day. With the municipality’s “Family Day Fab 5” program, there will be five activities available at Town Park Recreation Centre (62 McCaul St., Port Hope) and at the Jack Burger Sports Complex (60 Highland Dr., Port Hope). Open to all ages, activities at Town Park Recreation Centre from 1 to 5 p.m. include Floor Hockey, Parachute Games, Kitchen Marshmallow Buddy with Hot Chocolate, Family Handprint Crafting, and a Scavenger Hunt. 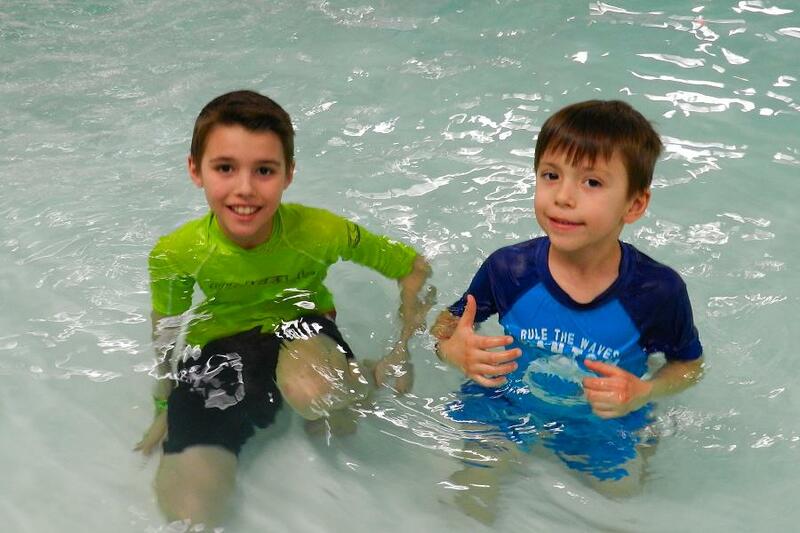 Indoor activities at Port Hope’s Jack Burger Sports Complex include a public skate beginning at noon, a family swim at 1:30 p.m., and a public swim at 2:30 p.m. For your little hockey fans, Jack Burger Shinny for children will run from 10 to 10:50 a.m. and for youth from 1:30 to 2:20 p.m.
And if you complete the “Fab 5 Play Card”, you’ll receive a free swim or skate pass. 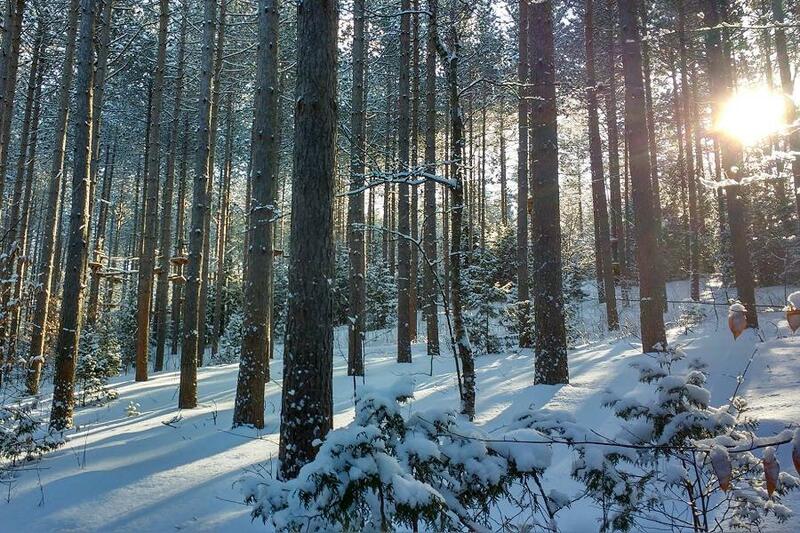 The Ganaraska Forest is one of Northumberland’s favourite attractions, and the Ganaraska Region Conservation Authority (GRCA) is bringing the nature hiking magic of Blue Bark and Co. to the Ganaraska Forest for a relaxing, therapeutic experience this Family Day. If you’re looking for something to do that’s unique to the region this Family Day, look no further than the Ganaraska Forest Centre (10585 Cold Springs Camp Road, Campbellcroft). “Therapy Through Nature” is a “morning of cleansing the soul with nature” according to the GRCA. Follow forest guide Jessica as she leads you on a 1.5 kilometre walk in the wood from 9 a.m. to noon. Space is limited and the fee to register is $45. To partake in this Family Day event, contact the GRCA by calling 905-885-8173 or emailing info@grca.on.ca. Haute Goat Farm is Northumberland’s go-to spot if you love animals — especially goats. Get a jump on Family Day by visiting this gorgeous sprawling property overlooking the Northumberland Hills on Sunday, February 17th for a “mini-shmurgle” — a 30-minute opportunity to play and snuggle with the farm’s cuddly inhabitants. Foodies take note: after the shmurgle you can enjoy a delicious lunch at the farm house compliments of Nosh+Nourish. The menu includes a vegan Autumn Harvest Lentil Soup (brown and green lentils, butternut squash, kale, rutabaga, and sage in tomato broth) and Heritage Pork and Cider Bean Soup (pork, apple cider, sweet potato, sage, red, and black beans). Soup will be served with a warm herbed roll and an apple crisp desert that includes, of course, a caramel sauce created by reducing goat’s milk. While this event isn’t on February 18th, it could still be part of your Family Day Weekend plans. Get cozy at Haute Goat Farms, located at 1166 5th line in Newtonville just outside of Port Hope. The Northumberland Fire and Frost Festival takes place February 16th and 17th at Dalewood Golf Club. 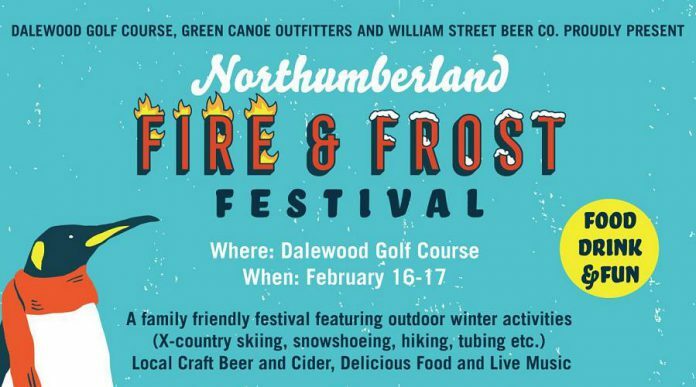 The first-ever Northumberland Fire & Frost Festival is coming to Dalewood Golf Club (7465 Dale Rd., Cobourg) on Saturday, February 16th and Sunday, February 17th of the Family Day weekend. The family-friendly event of winter activities, food, drink and live music is a collaboration between William Street Beer Company, Dalewood Golf Club, and Green Canoe Outfitters. You can explore a selection of free daytime activities at Dalewood Golf Course, including hiking, snowshoeing, cross-country skiing, and sledding. A $15 breakfast and/or buffet lunch, which include winter comfort foods such as hot chili and mac n’ cheese, can also be purchased on site. Whether snowshoeing, cross country skiing, tobogganing, tubing or hiking on the property, you can bring your own equipment if you have it, but you can also rent items on site. For example, the cost is $5 for snowshoes and one pass around the trail with them. Indoor activities during the weekend include a movie, trivia and live local music entertainment. Or you can purchase a $99 Family Day pass to experience everything the festival has to offer. If you opt for the Family Day pass for Saturday or Sunday or both, it includes admission to all activities for two adults and two children 12 and under, breakfast and lunch buffets, snowshoe rentals for each member of the family (good for one loop around the trail), and a drink for every member of the family. The festival runs from 9 a.m. to 9 p.m. on Saturday and from 9 a.m. to 5 p.m. on Sunday. On Saturday night, there will four musical acts (Cale Crowe, Rory Taillon, The Vallhounds, and Cleopatrick) acts, an a la carte menu will be served starting at 5 p.m., and William Street Beer Co. will be on site serving local craft beer (cider and signature cocktails will also be available). For more information, visit www.dalewood.ca/fire-n-frost/. For more Family Day events in the Kawarthas, visit our Family Day Weekend event listings. 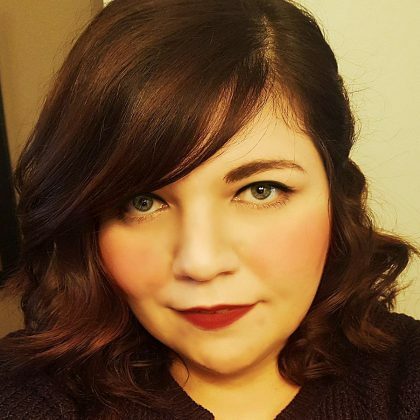 April Potter is a contributing writer located in Northumberland County. Her freelance work has been featured in many publications, you can follow her work on Instagram @apotterwriterartist. When she isn’t writing, April likes to paint and explore Northumberland with Tiger Lily the Miniature Pinscher.